So this just went out for local pre-order with a delivery date of the last week of July. 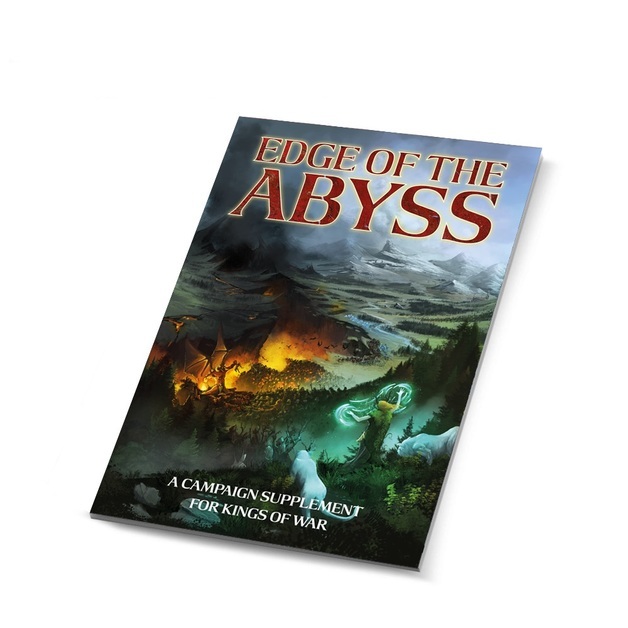 Edge of the Abyss is a global campaign that will see the map of Mantica change, depending upon whether good or evil triumphs on the battlefield. Throughout the summer of 2017 (winter for the southern hemisphere) we will be collecting the results from battles around the world, which means that you can decide the fate of Mantica. You’ll also find brand new heroes, new units, extra spells and more to bring your games of Kings of War to life. A lot of people, including myself, have been asking for more fluff and background for Mantica. Well this book is the start. It will be followed up later in the year by a new sourcebook that will incorporate the results of the campaign. I'm really looking forward to getting my hands on the book - pre-order has been made - so that I can plan games around its contents. It is also an opportunity to reward Mantic for all the work they do with Kings of War. I don't own a lot of Mantic figures but I go out of my way to purchase all their supporting materials. For locals, it is up on Mighty Ape's site.